This is a Good-buy! What a cute party chick! 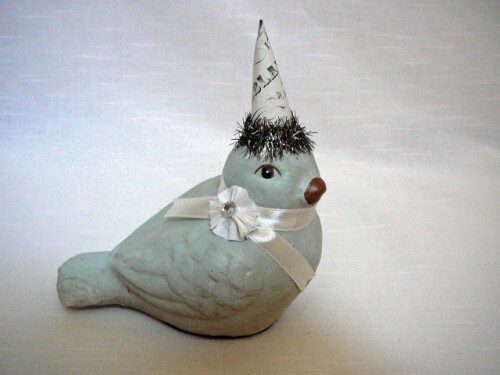 This chick is ready to party in a hat made of French ephemera style paper trimmed in tinsel. He is approx 6" x 5", designed by Heather Myers and made of paper pulp plaster. A perfect chick for spring, Easter and birthdays!